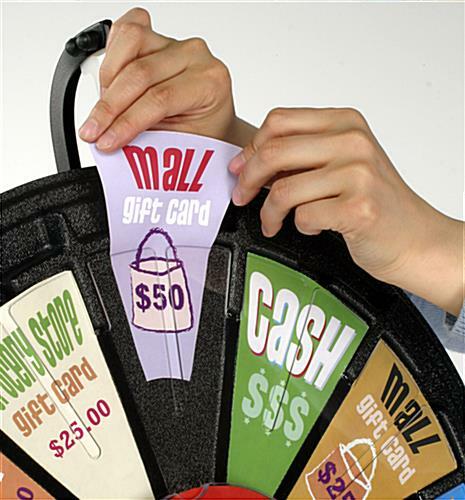 These Prize Wheels are Great at Getting The Attention of Passersby! 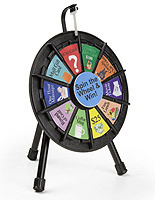 Buy These Spinning Games as Well as Plinko Boards and Promotional Raffle Drums From A Trusted Leader In The Business! 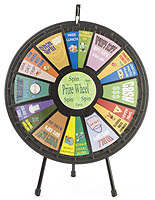 Prize Wheels That are Small Can be Used in Classrooms. 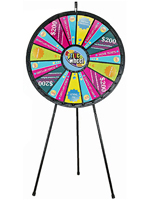 These customizable contests, prize wheels are our smallest offering measuring in at 20-1/2" in diameter and weighing only 6lbs. 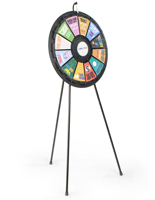 This mini spinning award game is compact, easy to transport and compact enough to fit on a desk or tabletop. 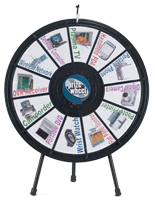 These raffle products, prize wheels are powerful educational tools for math teaching, choosing teams, selecting questions, bird bingo or other learning games in school. 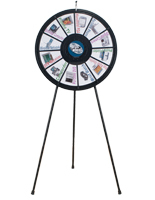 Each of these promotional games feature 12 customizable reward slots and a signage plate for your custom graphics, prize description, or message printed straight from your own printer which can be tailored for any sort of event. 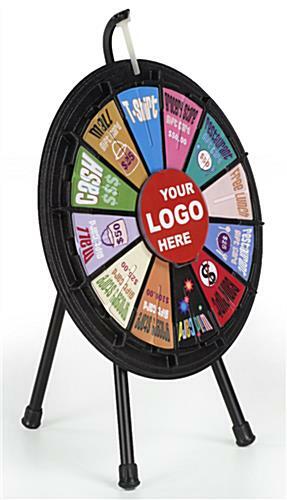 We provide these prize wheels with sign templates necessary to print appropriate sized messages. This fun game easily re-configures for multiple event use. 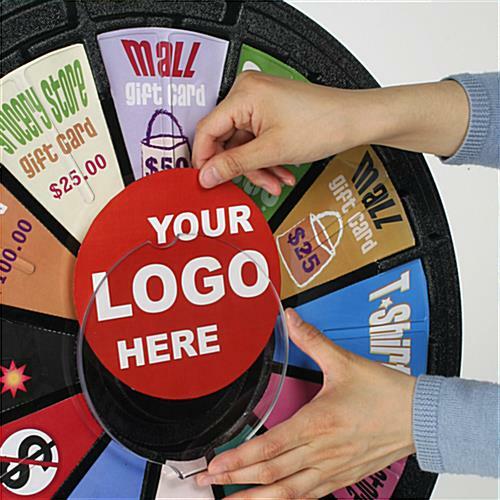 Simply change the prize wheel segment inserts and the center circle logo. 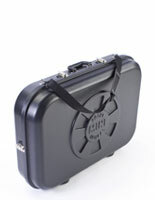 Assembly is easy with a sturdy tripod style stand made of high quality power-coated steel. All of our mini prize wheels are made of a combination of extra tough ABS plastic and durable PETG plastic. The clicker itself is made of virtually unbreakable nylon plastic, and is able to withstand thousands of spins. 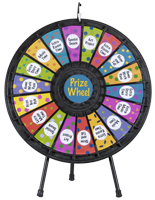 These prize wheels are sure to make any ordinary gathering extraordinarily FUN! 20.5" x 30.0" x 16.5"